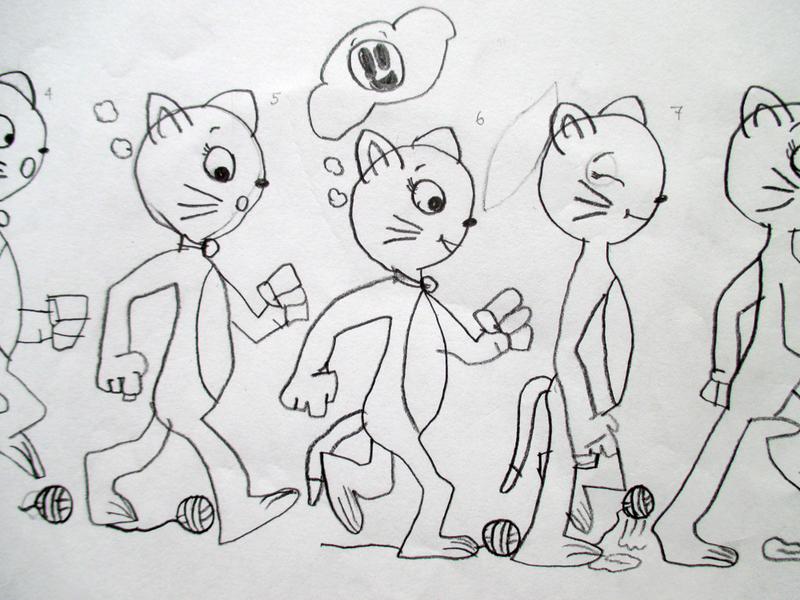 In this resource, students design their own unique characters and then make them move in a basic animated walk cycle. 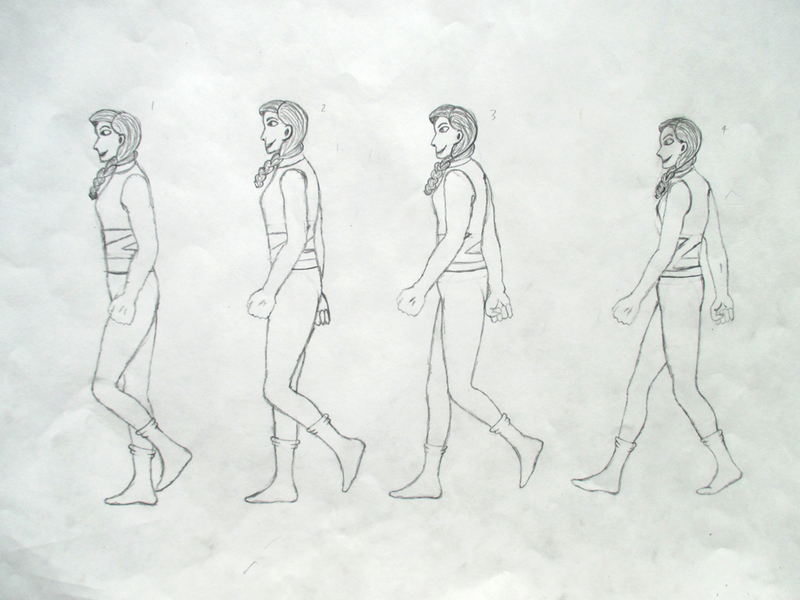 In animation, a walk cycle is a series of drawings in sequence that loop to create an animation of a walking character. Explore what is a caricature? 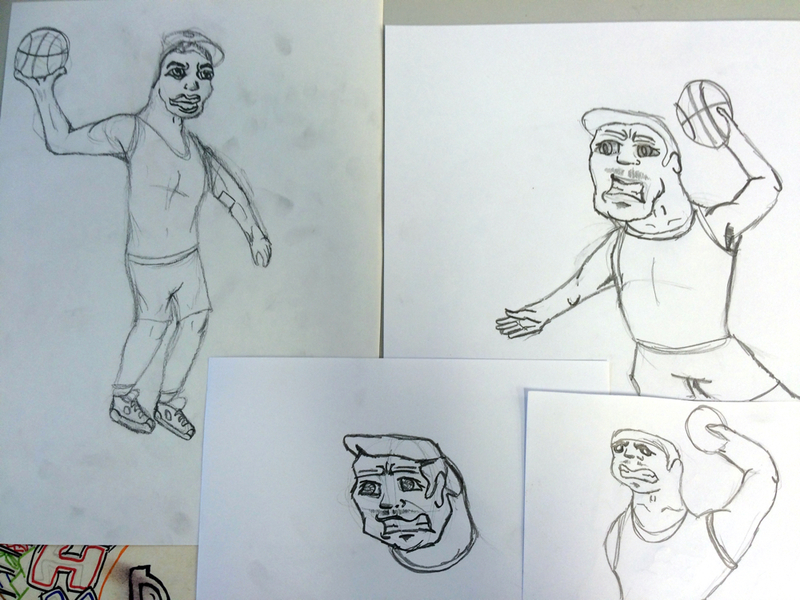 How does exaggerating features help build character? Look at famous cartoonists. Look at character sketches from companies such as Dreamworks, Disney and Pixar and discuss what gives them personality. Explore people who create characters for a living – authors, illustrators, dancers, actors, animators, designers and film directors. Investigate your own favourite book character and write a list of the special features that make them stand out. Play the ‘bubble game’. Fill an empty page with random crazy bubble shapes. When your page is filled with shapes, switch pages with a friend. Now that you have your friend’s page of bubble shapes use your imagination to turn the bubbles into different faces and characters. This game is a great warm-up to developing a character as you don’t have to worry about the outcome but maybe some great characters will spontaneously appear! 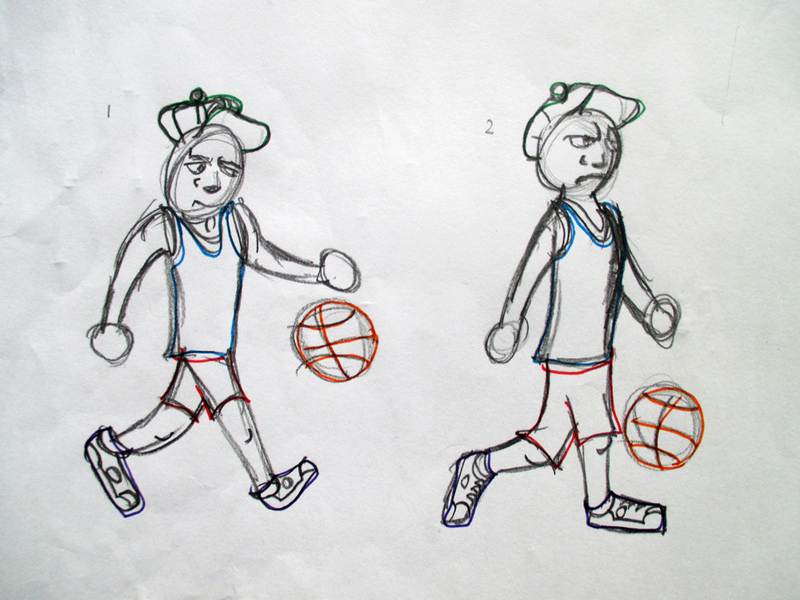 Leith, a student from my art class, loved the look of his basketballer bubble character in the photo below and continued developing this character further. TIP: This unit has some lovely cross curricular links to English. It has the potential for you to write a short story or poem about your character. Watch a few clips on what professional character designers think about and do when creating a character. A key idea is how shape can influence the feeling of a character such as in the movie ‘Inside Out’ where the character ‘Sad’ is soft and lumpy like a teardrop and the character angry is spiky and sharp. Begin to draw your own character ideas. 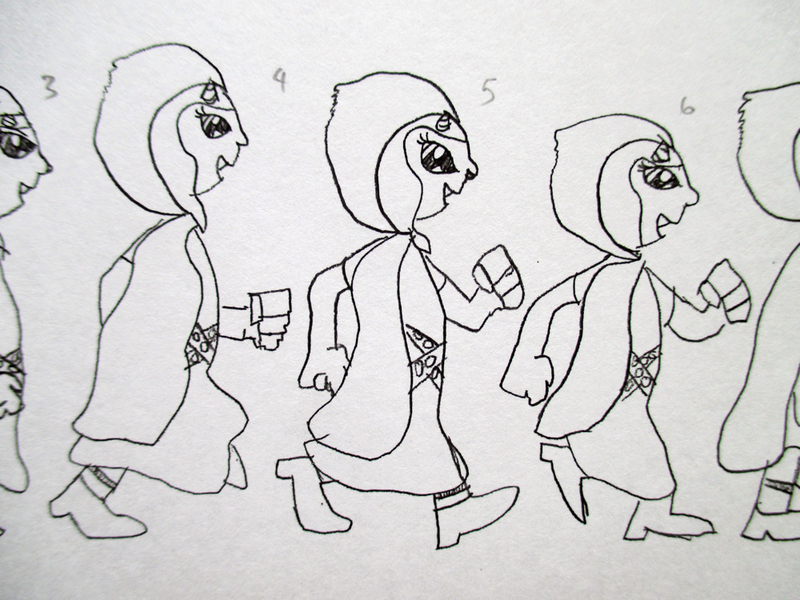 Divide a page into four and create four different quick character sketch ideas. Annotate your drawings with decisions or your thought process. Look at sketch diaries of famous artists and discuss why it is so important to write down your decisions next to your drawings. TIP: For ideas, raid a library and gather many books. 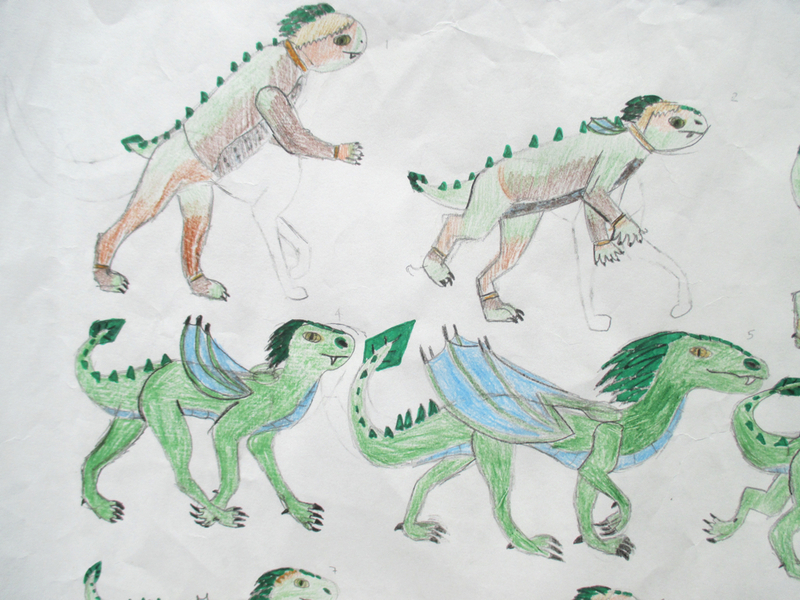 Some of my classes’ favourites were ‘LOTR character art’, ‘Rango concept art’ and ‘How to make your own Manga character’. Reference and being inspired by other people is a huge aspect of making up your own character. Refine the character you want to work with from your initial four quick sketches. 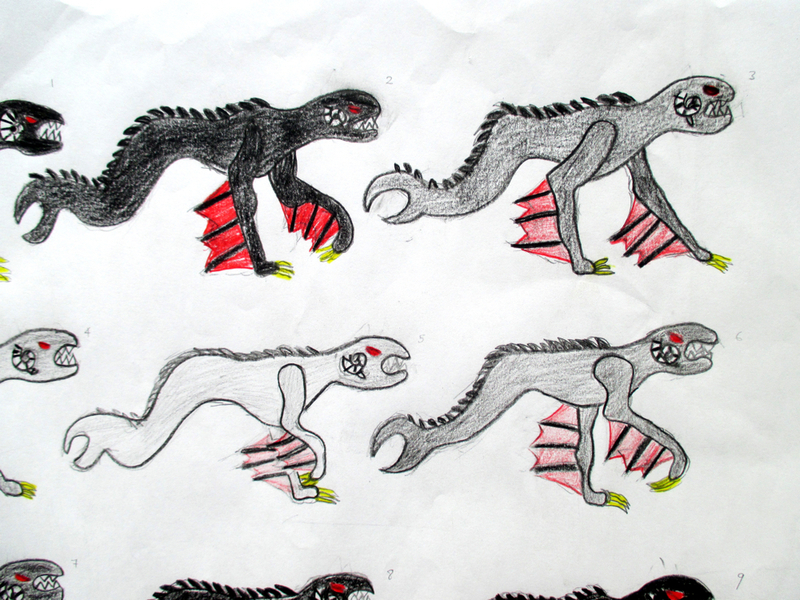 Draw a final rendered drawing of this character. You may like to add colour pencils/watercolours to this final drawing. Here are links to two templates you can choose from: a two legged template and a four legged template. Choose the template that suits your character and print it out. Use a light box or window and draw your character eight times on a separate paper using the template underneath as a guide beneath to position your character. You are not just copying the template that exists but imposing your own character’s features onto the template. Remember your character has to be similar in each pose – if you introduce colour make sure in each frame everything is always consistent e.g. if the hat is red it has to be red in every frame. 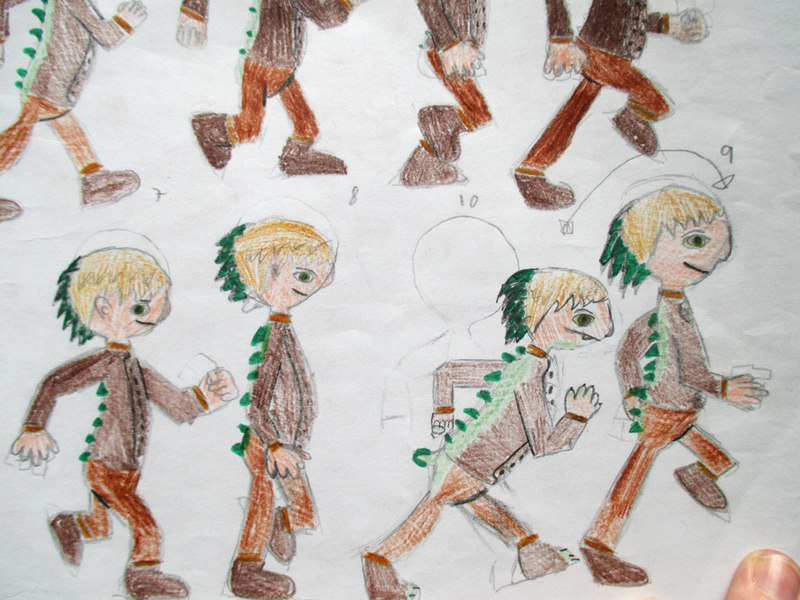 When you have completed drawing your character in the eight different poses it is now time to make your character move! Using the classroom Ipad or your own smartphone download the free app ‘Stop Motion’. 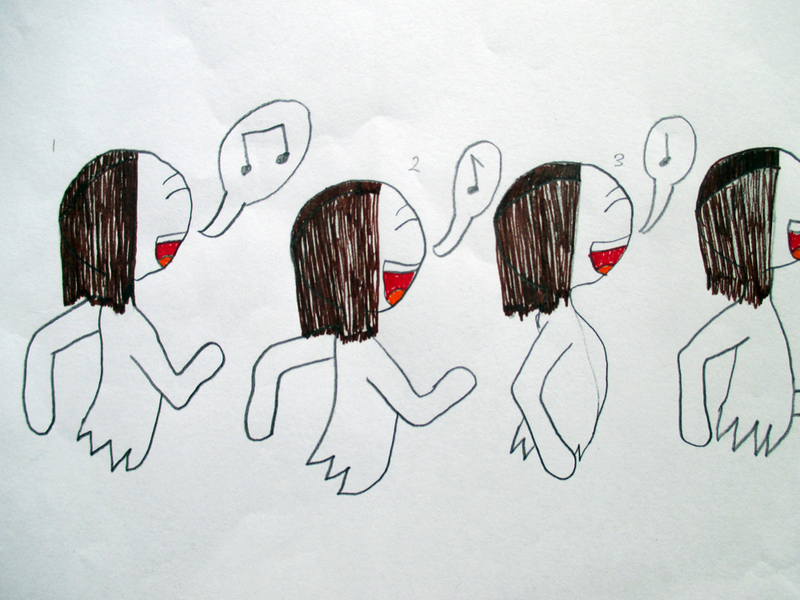 Open the app and take photos with the app of each of your walk cycle drawings. Press the play button and watch your character walk! We used the ‘Stop Motion’ app in class as it gives quick results and it is easy to use. 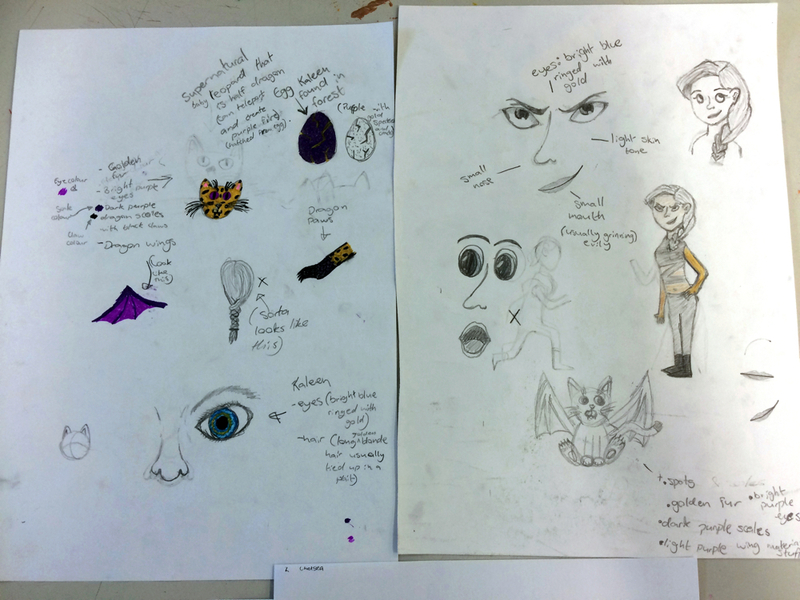 However, for the video at the top of this post, I put their drawings into the programme ‘After Effects’ as a surprise for the students in the final class for them to see how their characters could look professionally animated. 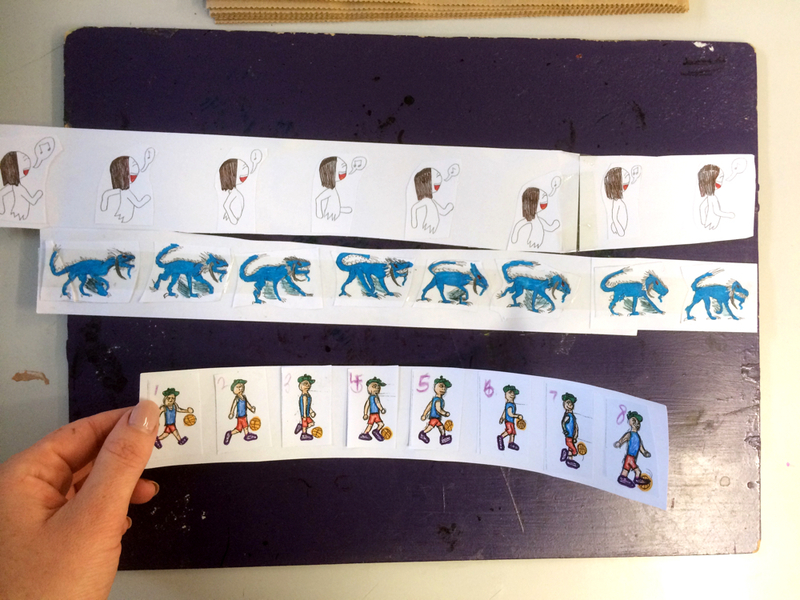 If you would like to continue with your exploration of animation, now that you have done all the hard work in making a walk cycle you can easily turn it into a zoetrope or flickbook! 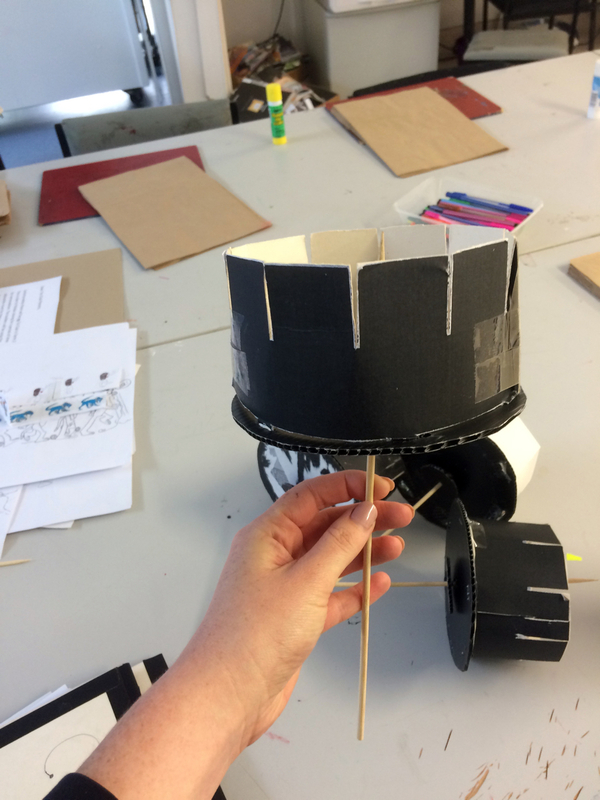 This is a great way to learn about the history of animation! 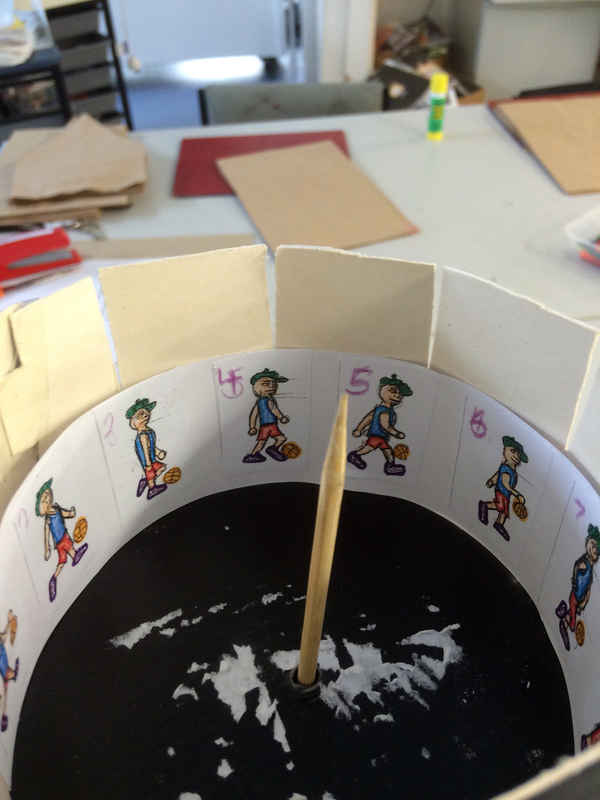 There are many great zoetrope templates available online. This is the one we used: http://brightbytes.com/collection/zoetrope.pdf. Cut out the pattern from strong card. 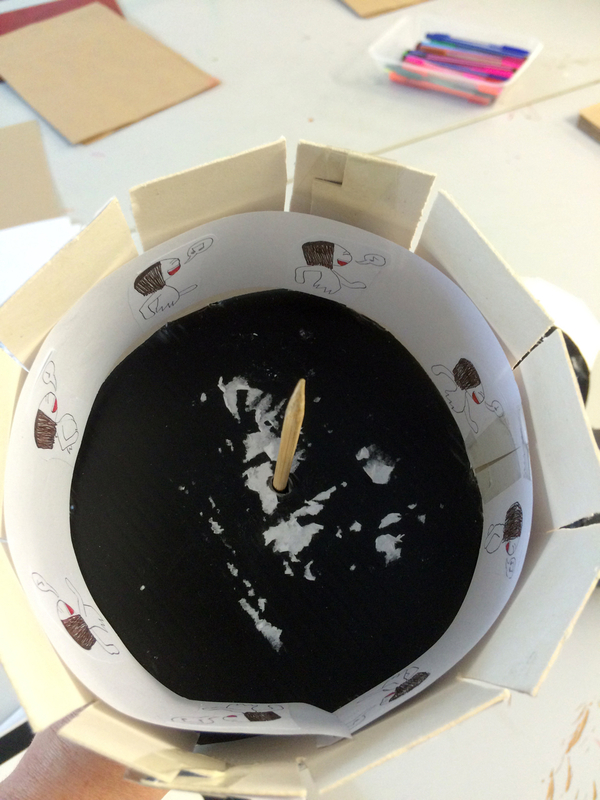 Construct the shell of a zoetrope and add a skewer stick down the middle. Shrink drawings down on the photocopier to be really small, matching the example on the zoetrope template. You may have to cut them out and arrange them in a strip. Now, when you put your strip walk cycle into your made zoetrope and spin it you can watch it move! There are many flickbook examples online. 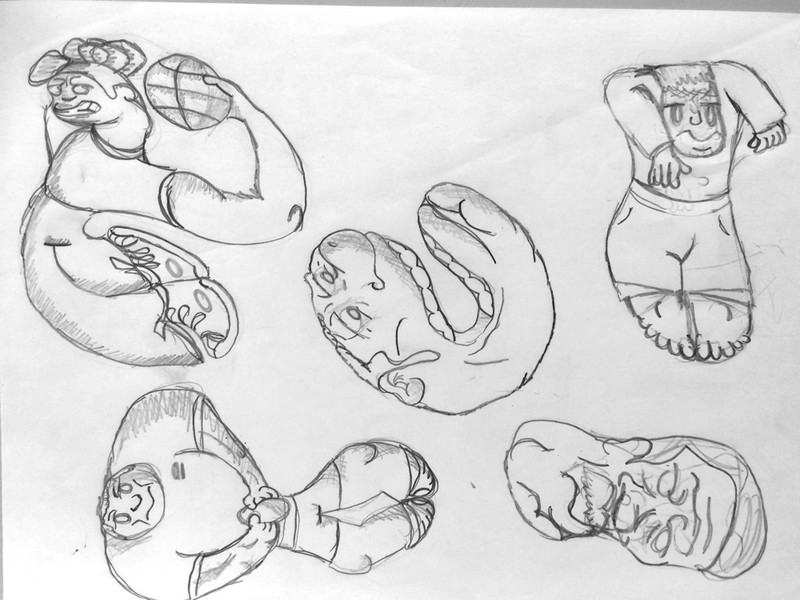 Photocopy your drawings and shrink them down so they are small. Cut each of your eight drawings out and stick them on separate pieces of paper (post-it notes work well for this). Always stick them in the same place on the paper. Stack them together and staple them at the opposite end of your drawings then thumb through the pictures to watch them move.